Takashi Morita san is the President of the Association Hibakusha-Brasil Pela Paz (Association of Hibakusha-Brazil for Peace). In 2008 he travelled with the Peace Boat to talk about his experiences in many countries. 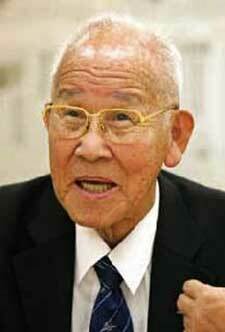 In Vietnam, for example, Mr. Morita interacted with the second and third generation of victims of Agent Orange. Additional information about Morita san can be found at Interview with Takashi Morita, Chairman of the Peace Association of Brazilian A-bomb survivors.